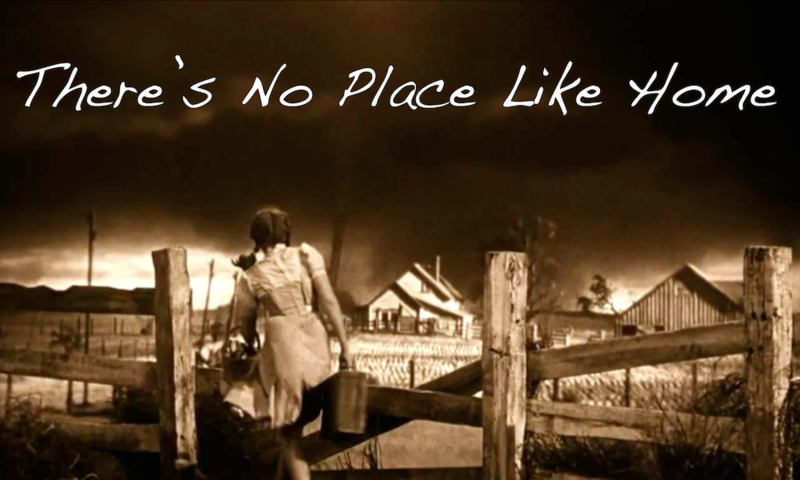 Dorothy Gale from the “Wizard of Oz” said it best…”There’s no place like home!” When faced with the prospect of moving to an assisted living facility or aging in place, seniors overwhelmingly choose to stay in the comfort and privacy of their own homes as they age. According to an AARP survey, nearly 90% of those over age 65 want to stay in their homes for as long as possible. That’s not surprising given the many benefits of aging in place. There are many reasons why aging in place can be a win-win situation. For starters, it may be a financially prudent step. Staying home with the assistance of family or professional caregivers can be less expensive than moving to an assisted living community. The costs of moving, facility entrance fees, and monthly payments for room and board can easily cost over $3,000 a month. And there’s no denying you’ll always get a better night’s sleep in your own bed. Even more important is the role the psychological aspect plays when one does not move away from an established community of friends, family and support system. It’s hard to place a dollar amount on the peace of mind and security that comes from knowing you are in familiar surroundings. The first step in an “aging in place” plan is to conduct a safety check of your home. This means removing fall risks like loose rugs from high traffic areas in the home, removing clutter from the floor and other obstacles which may hinder safe movement in addition to repairing floorboards which may be loose or unsteady. Ensuring the home is well-lit will also help seniors avoid falls. Electrical outlets should be in good repair and everyday household appliances should be checked for tattered cords or any short circuits to prevent fires. Having a fire extinguisher handy and a smoke alarm system in place can keep seniors safe from such threats. Simple home modifications can greatly assist an aging loved one with their everyday activities and ensure safety in the home. Installing grab bars in the bathroom by the toilet and in the shower can prevent a fall or other injury. You may also want to look into getting a bathing chair and installing a step-in shower for ease of movement and an added level of security. Retrofitting the home with handrails, replacing doorknobs with levers, and adding automatic lights to hallways are relatively low-cost ways to make the home more senior-friendly. See if it’s possible to keep living space limited onto one floor as climbing and descending stairs can become progressively more difficult with age. That means using existing space for dual purposes. For example, a kitchen pantry can be converted to house a washer/dryer set or a linen closet can be used for storage of often-used items such as clothing or decorations normally located on another floor in the home. Social isolation can be a stumbling block to aging in place. No matter how safe the inside of a home is, if there isn’t enough interaction within the community and a support system in place, a plan can quickly fall apart. Part of aging in place successfully means being able to stay socially active and not fall into the depression that many people experience due to social isolation. Do you know how to use a computer to stay connected to family and friends at a distance? Many local libraries offer free courses on how to use a computer and also provide free internet services. Putting together a list of people and professionals who can step in and help if you need someone to accompany you to a doctor’s appointment, or to help with errands if family doesn’t live nearby, can be extremely useful. You might also look into some of the companionship services available through a reputable local home care agency which provide bonded and insured caregivers to assist with such tasks. With a bit of pre-planning and preparation, you can indeed say “There’s no place like home” when it comes to aging in place.